You may have noticed at the beginning of the week a new addition to the sea of cakes and pastries we bake each morning, and you may have found it harder than usual to pronounce the name. 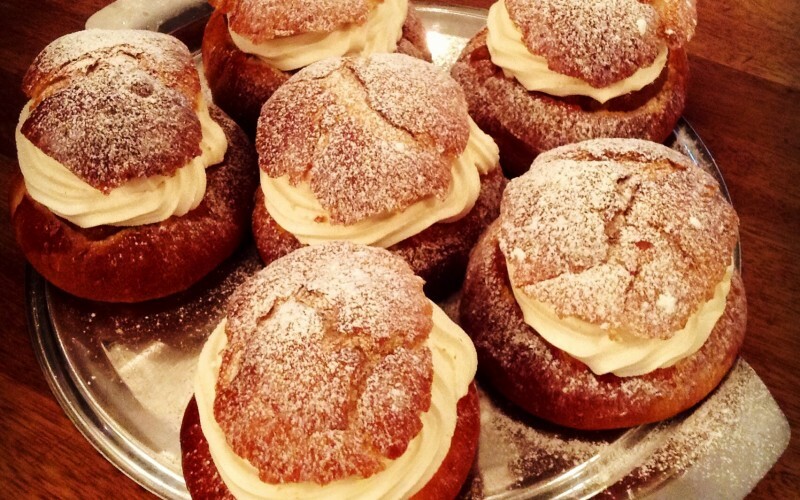 Fastelavnsboller, also known as Semla, literally translates as ‘festival bun’ (now you might be able to work out the meaning behind our infamous Sultanaboller). It is a traditional sweet bun served at this time of year before fasting for Lent – our equivalent is pancakes, both of which attempt to use up ingredients found in our cupboards. 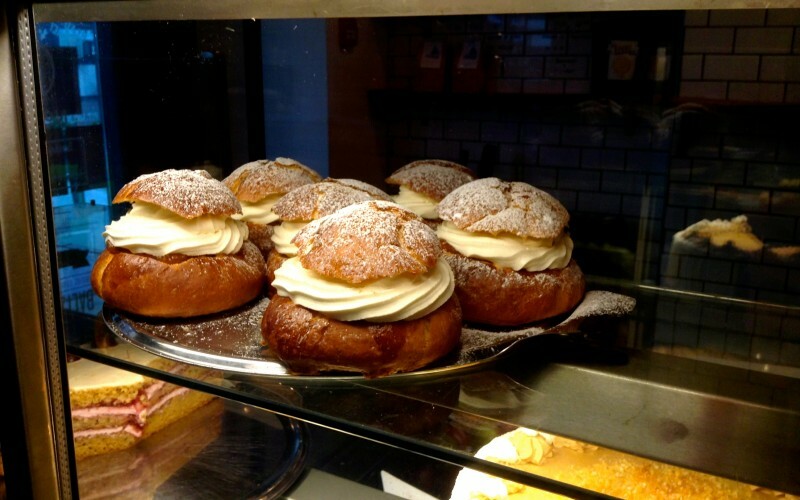 The main components of a fastelavnsboller are a cardamom flavoured sweet bun, an almond paste and whipped cream to fill the bun, and whatever signature stamp you want to apply to differentiate yours from the vast range offered in bakeries and cafes all over Scandinavia. 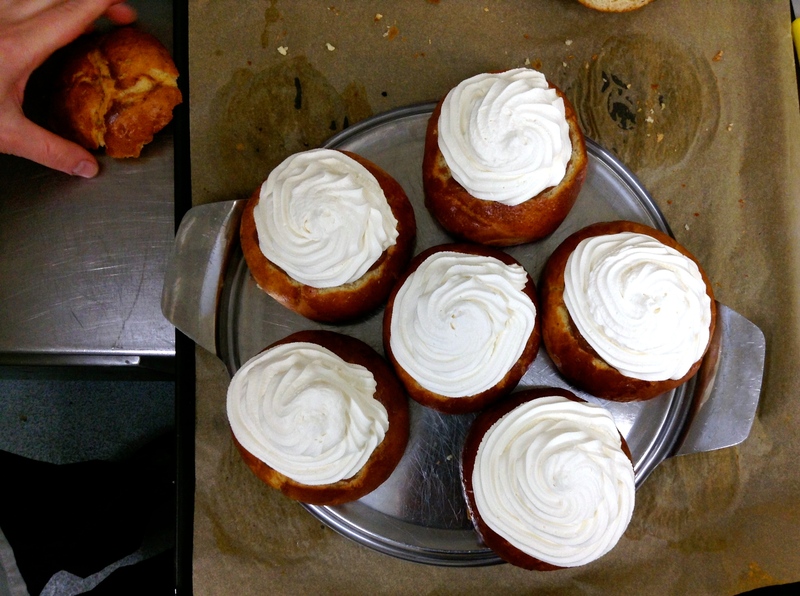 The making of the fastelavnsboller and semlor (the plural of semla) is taken very seriously, with inspections and ratings that can be financially life-changing for establishments. 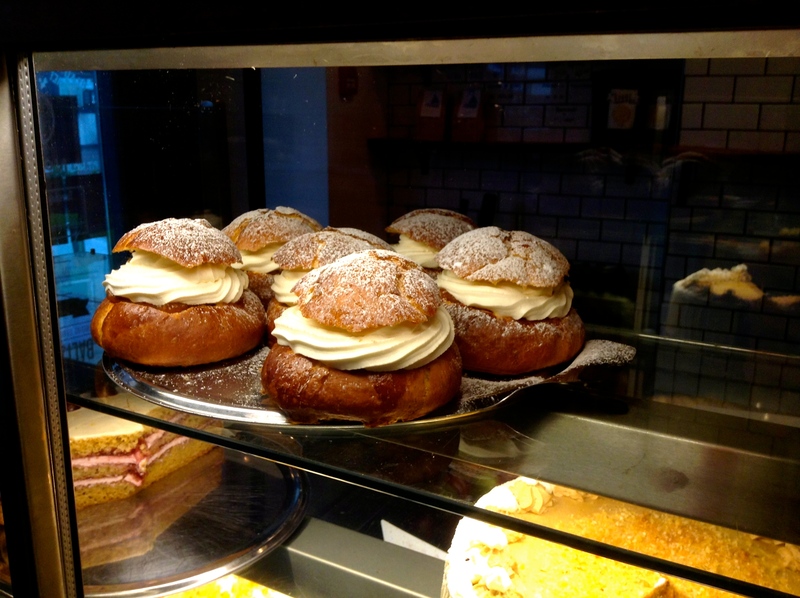 In fact, one anonymous member of the public has taken it upon himself, or herself, to provide a thorough and detailed review of every single semla in Stockholm, known as the Semmelmannen (The Semla Man). Scour his Instagram account for the best this tradition has to offer, @semmelmannen. 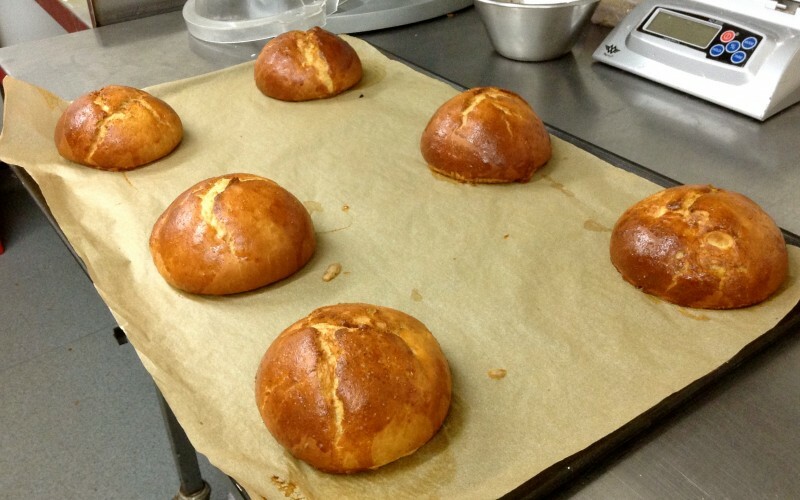 Anna, our Finnish chef, cooked up Harrogate’s very first traditional fastelavnsboller and here is an insight to how she did it. First, Anna made the sweet dough by combining flour, butter, milk, fresh yeast, salt, sugar and cardamom, and let it rise to double its size. 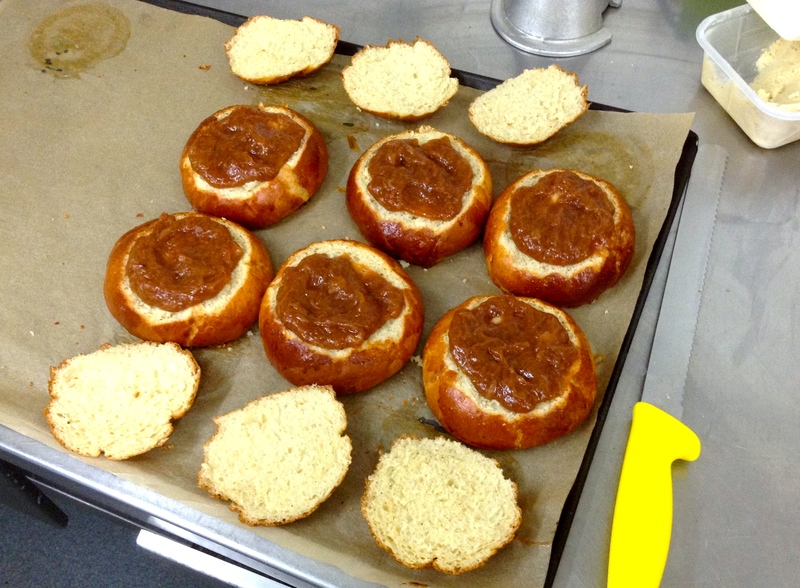 She then divided the dough to make the bun shapes and let it rise double its size again. 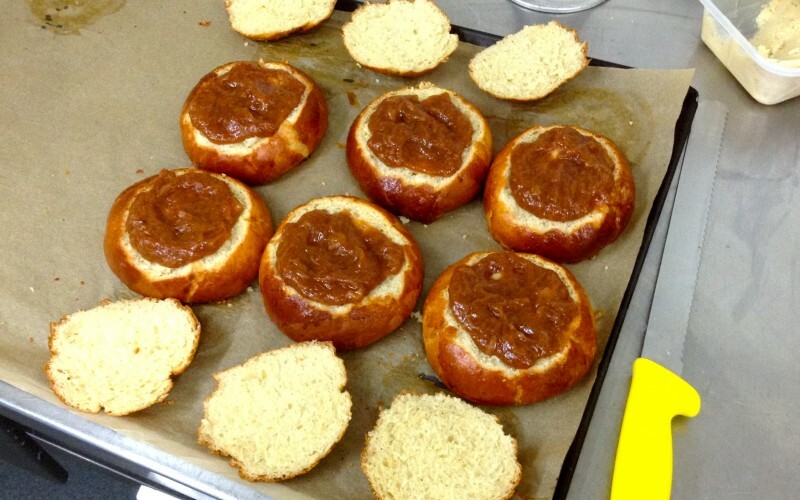 The buns were brushed with egg before being baked in the oven for 10 minutes, our buns were particularly large, smaller buns mean less time. 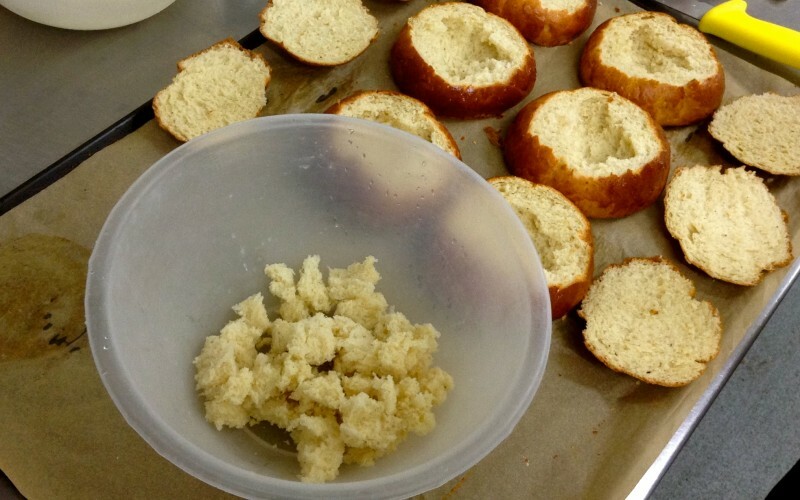 After leaving the buns to cool, she sliced the tops off and scooped out some of the dough and put it in a bowl. 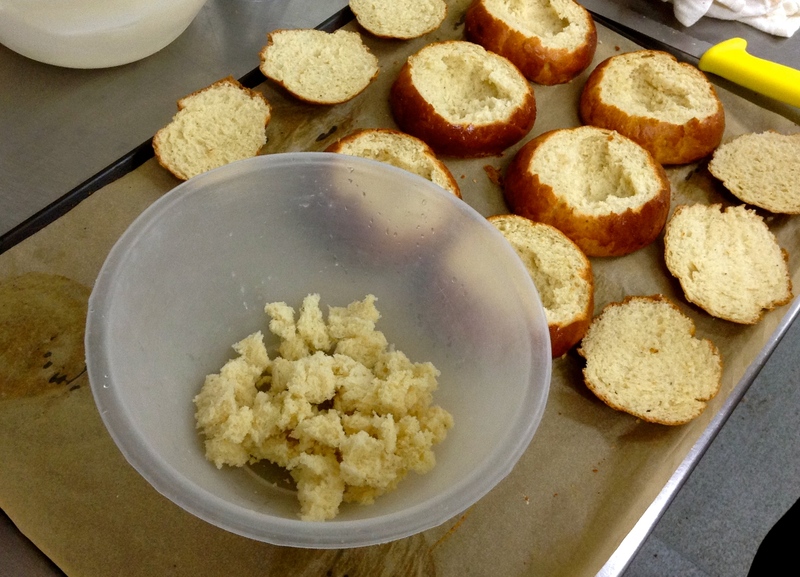 The almond paste was then mixed in with this dough and placed back into the buns. Think jacket potato style. On top of the almond paste filling we put our signature stamp, homemade rhubarb compote – how seasonal of us. Try yours with stewed apple, hazelnut paste or fresh berries. 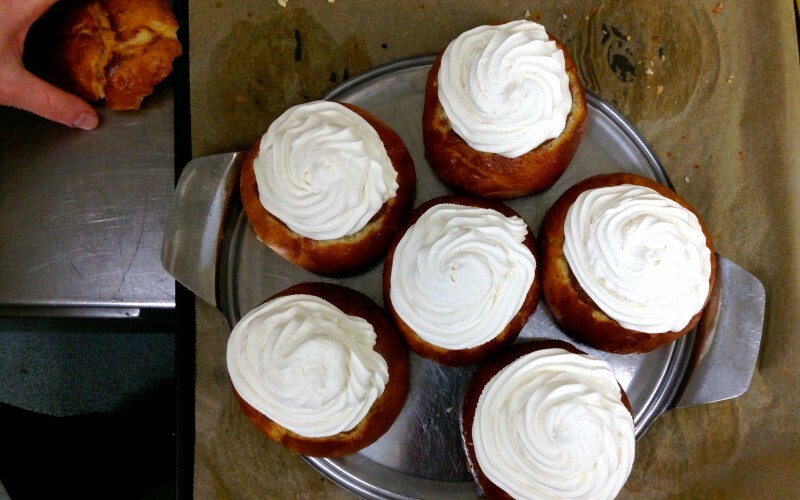 After letting the compote cool a little more, we then covered the it with whipped vanilla cream and popped the tops back on the buns. These babies were put out on Monday morning, and gone by Monday afternoon. 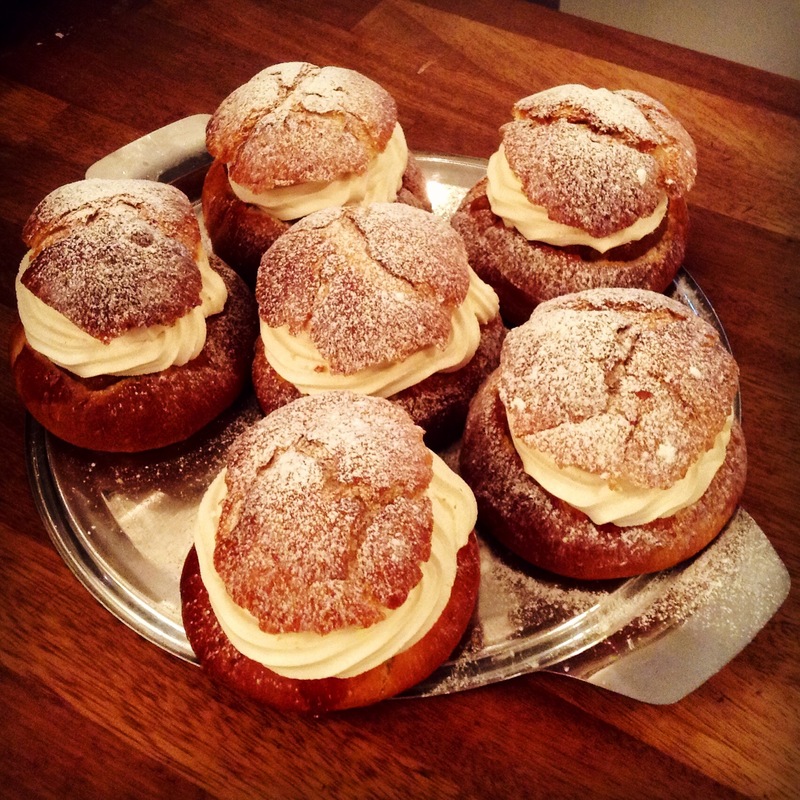 This sweet treat would make a great half-term bake for all the family, customise with different fillings and sizes to enjoy a truly scrumptious Scandinavian Lent delight. Let that be a warning to all.